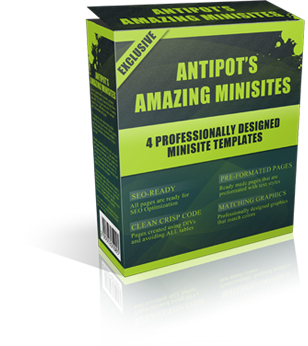 Who Else Wants To Get Their Hands On Four AMAZING Minisite Templates For Free? What BONUSES Will you get ? 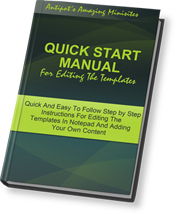 An easy step-by-step guide that will show you EXACTLY how to change your templates and what needs changing. You can also give this manual to your list. 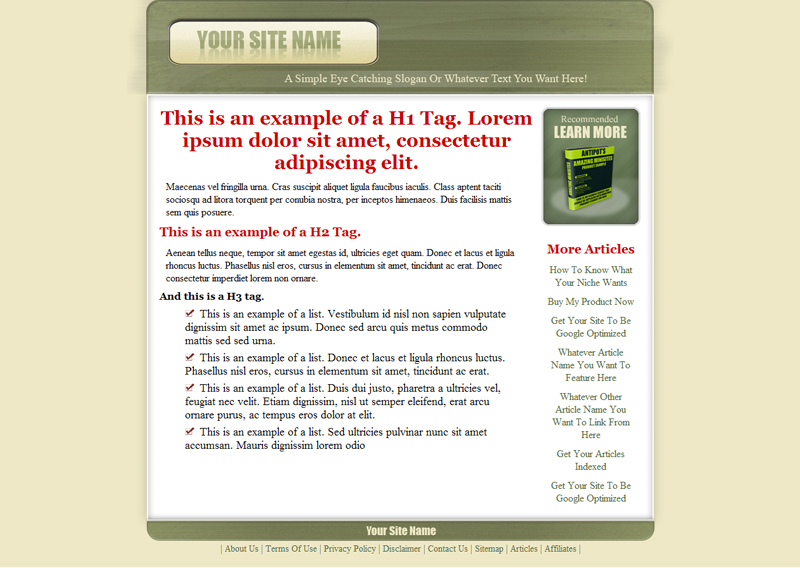 It describes perfectly how to make changes to the minisite templates and it shows quick screenshots with every step. 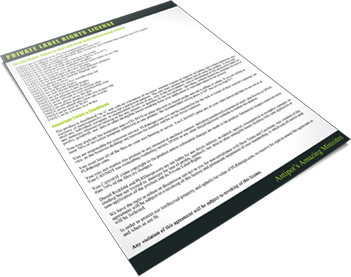 All the instructions are about making changes using NOTEPAD or other simple text editors that ANYONE will have. So you don't have to buy any expensive product to be able to change the templates. 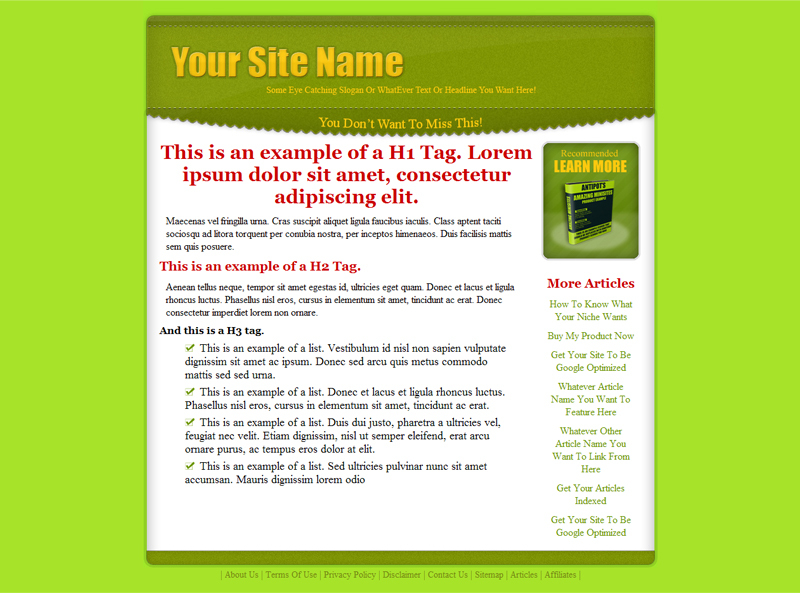 The minisite templates contain .psd files for the header, the footer and the product recommandation image. 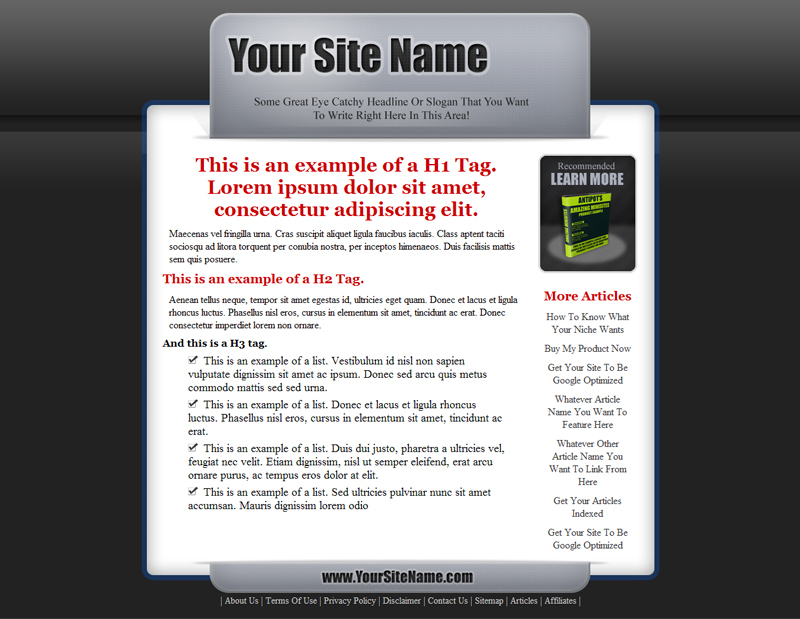 You will get an video that will show you exactly how to make changes to those PSD files and edit your own site name or address in them. 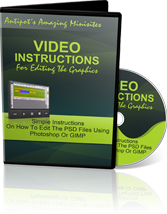 Instructions on how to edit using Photoshop, or GIMP for those who don't own Photoshop. 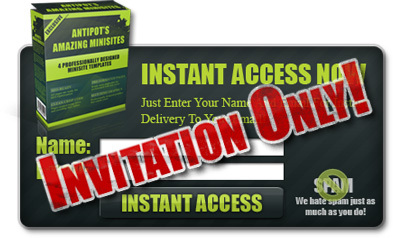 Private Label Rights For Each Minisite Template!